As the national discussion surrounding the influx of Central American migrant families to the U.S.-Mexico border continues, more than 100 vendors arrive in San Antonio this week to hawk their wares to local, state and federal law enforcement agencies as they convene for the latest border security expo. Made up of more than 60 law enforcement agencies at the local, state and federal level, the conference is an opportunity for them to engage with more than 125 exhibitors who are presenting the latest technology in the border security arena, including mobile surveillance structures, all-terrain combat vehicles, long-range thermal cameras, license plate scanners and handguns, to name a few. “The exhibit hall features hundreds of the latest security products and services — everything from access control and armored vehicles to biometrics and retinal scanning technologies,” the expo’s website stated. 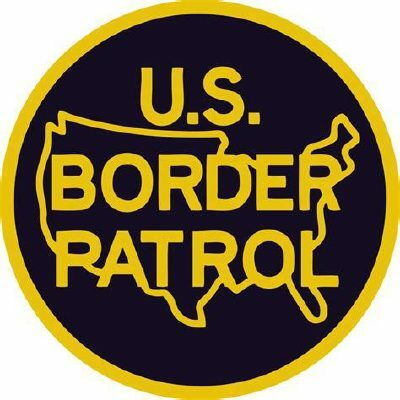 The theme of the conference this year is related to “emerging border challenges,” and is designed to educate and provide “best practices and solutions” to border security and other areas of opportunity for law enforcement representatives in attendance, according to the website. U.S. Immigration and Customs Enforcement Deputy Director Ronald D. Vitiello is expected to lead the conference as the opening keynote speaker Tuesday morning. Vitiello, who replaced Thomas Homan after Homan retired last summer, is the acting director of ICE with 20,000 employees at his command. Prior to his appointment at ICE, Vitiello served as an acting deputy commissioner with U.S. Customs and Border Protection early last year, and previously as chief operating officer with U.S. Border Patrol in the Rio Grande Valley, Arizona, Washington and Vermont, according to the agency’s website. Vitiello will also be joined by Derek N. Benner, executive associate director for U.S. Homeland Security Investigations, which deals directly with more than 9,000 employees, including 6,000 special agents assigned to 26 special agents in charge in major cities investigating and executing targeted cases of transnational and cross-border criminal organizations operating in the U.S. In addition to keynotes from major heads of law enforcement agencies, attendees can hear panel discussions on current border-related issues, including a panel on “Mass migration and unaccompanied children: financial and national security implications,” as well as a panel on border walls and ports of entry related to technology. The expo comes at a time when the number of family units and unaccompanied children apprehended at the U.S.-Mexico border continues to increase over apprehension numbers last year, most notably in the Rio Grande Valley sector, where there’s been a year-over-year increase of 200 percent in the apprehension of migrant families. On Monday, asked to comment on the latest expo and priorities the agency may have amid the immigration family influx, U.S. Customs and Border Protection officials said CBP representatives were not available for comment. The discussion on ports of entry and integration of technology is expected to continue through Wednesday, with at least two panels on the topics scheduled for that day. The expo, which ends in earnest on Wednesday, wraps up on Thursday with the fourth iteration of the “Sharpshooter Classic,” an event hosted by the Border Patrol Foundation that tests participants’ shooting skills in “real-life” scenarios that Border Patrol agents face everyday. The event is broken down into six challenging stages, including pistol, rifle and shotgun rounds, according to the event’s Facebook page. “This competition will test the skills of the most experienced law enforcement personnel and bragging rights are at stake for you sector, station, unit or department,” the event description stated.